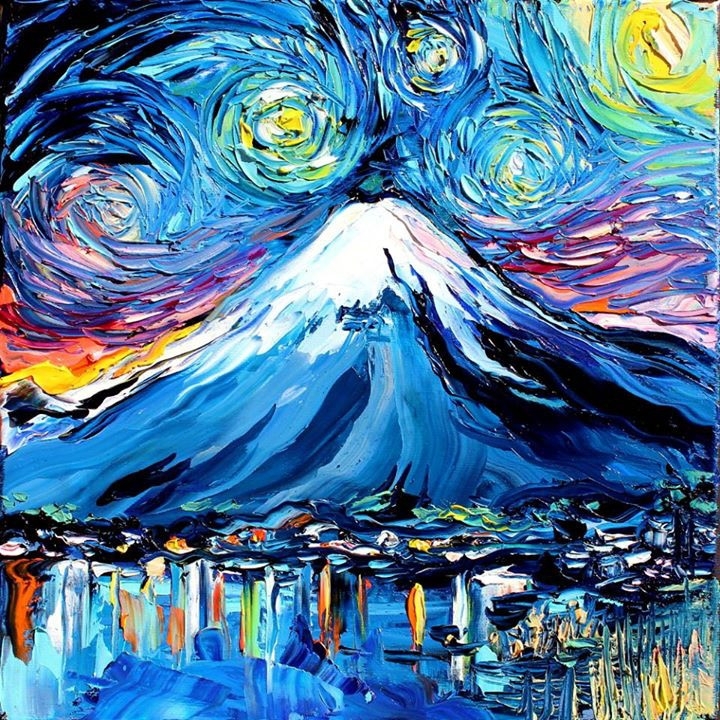 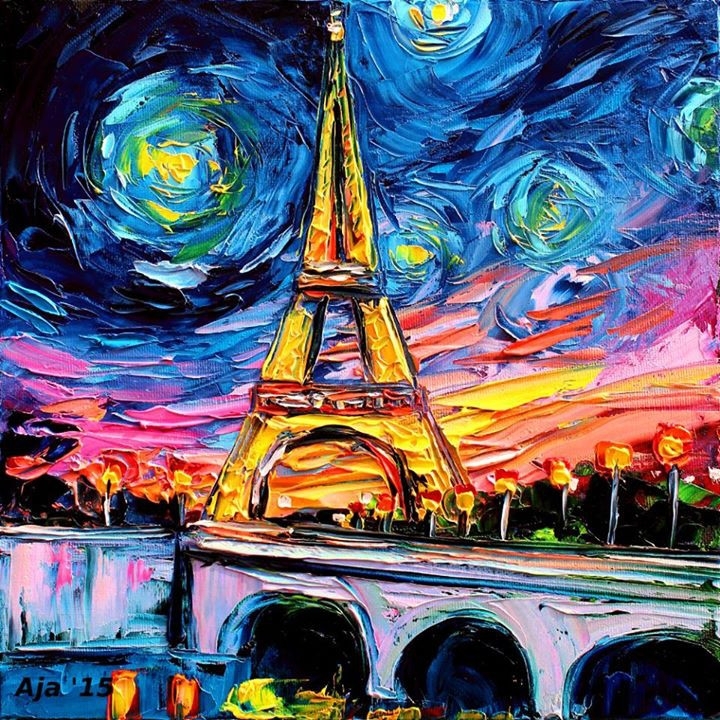 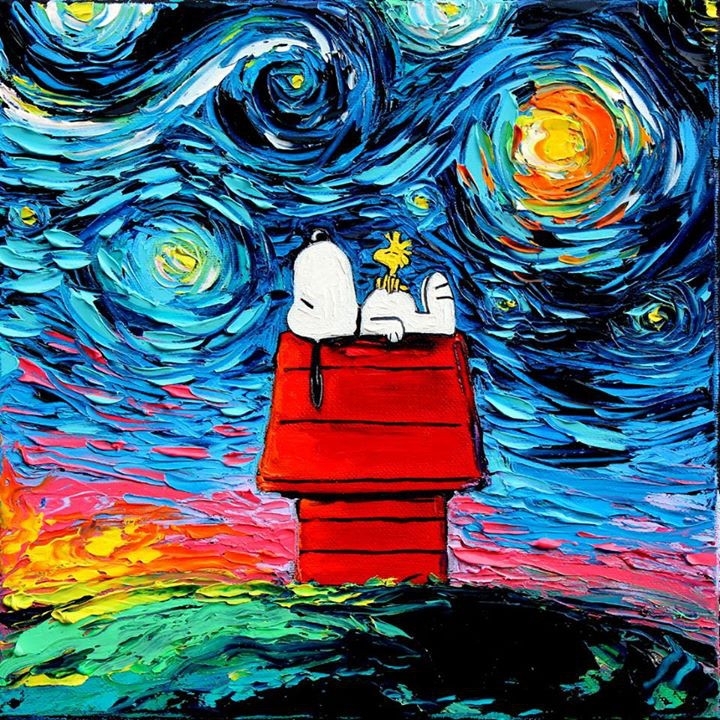 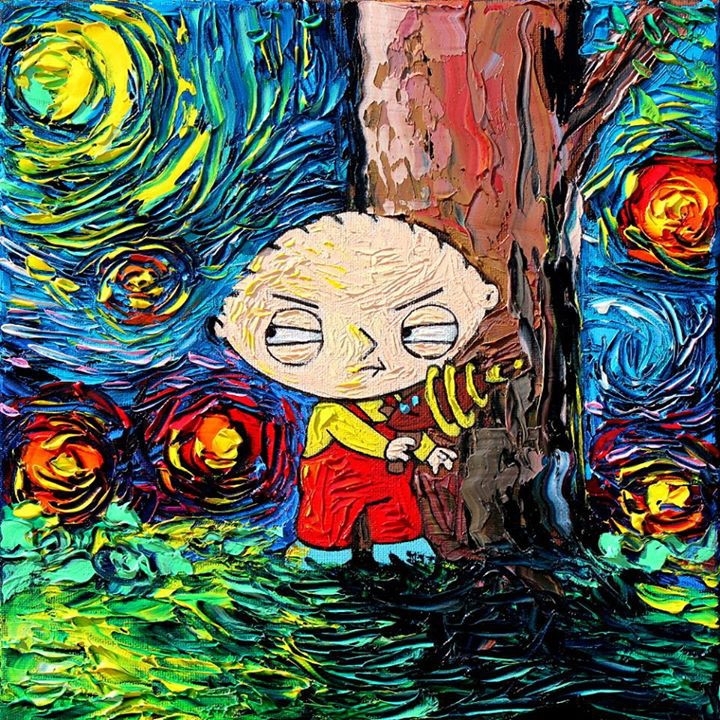 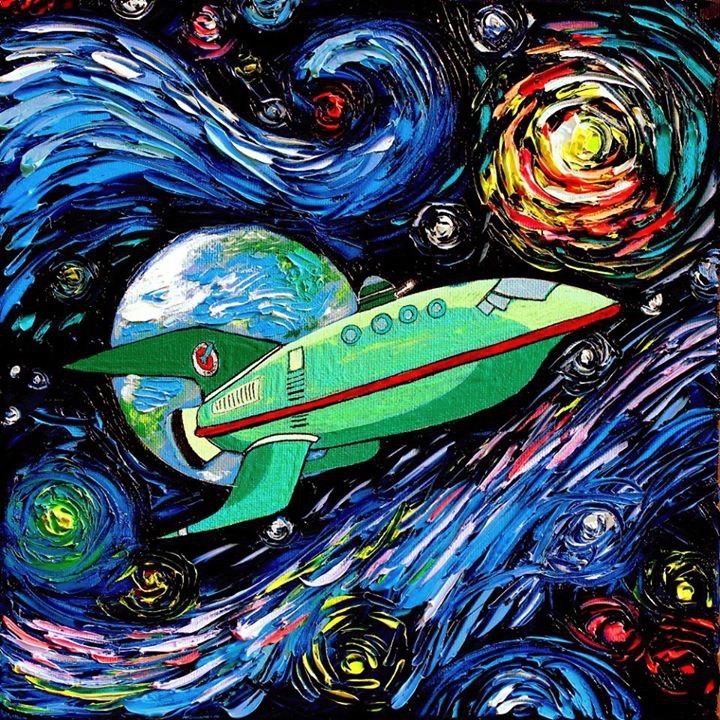 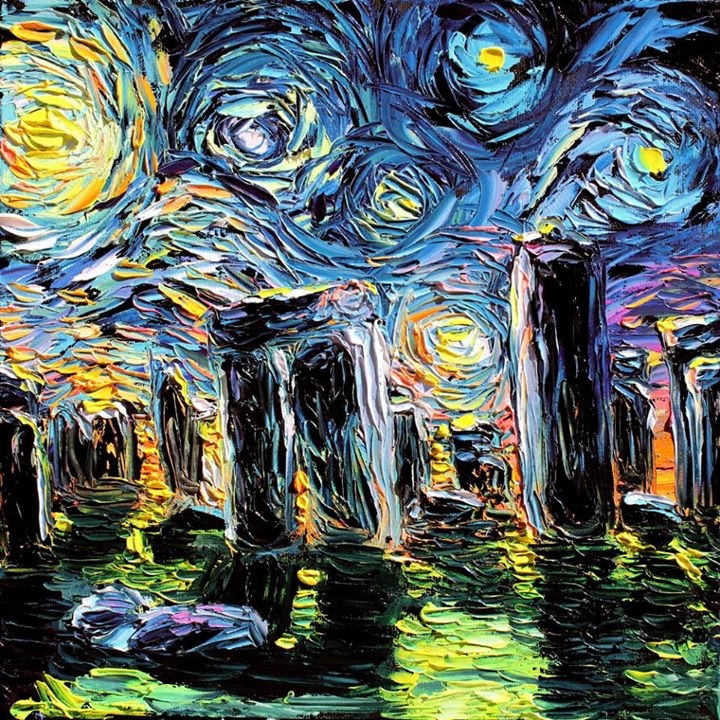 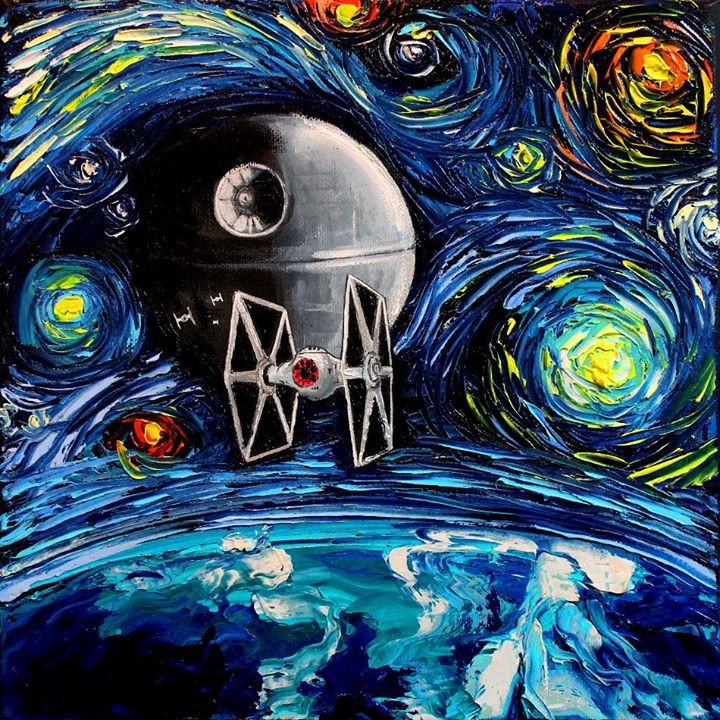 Famous artist + modern pop culture and landmarks, meet in these out of the ordinary paintings. 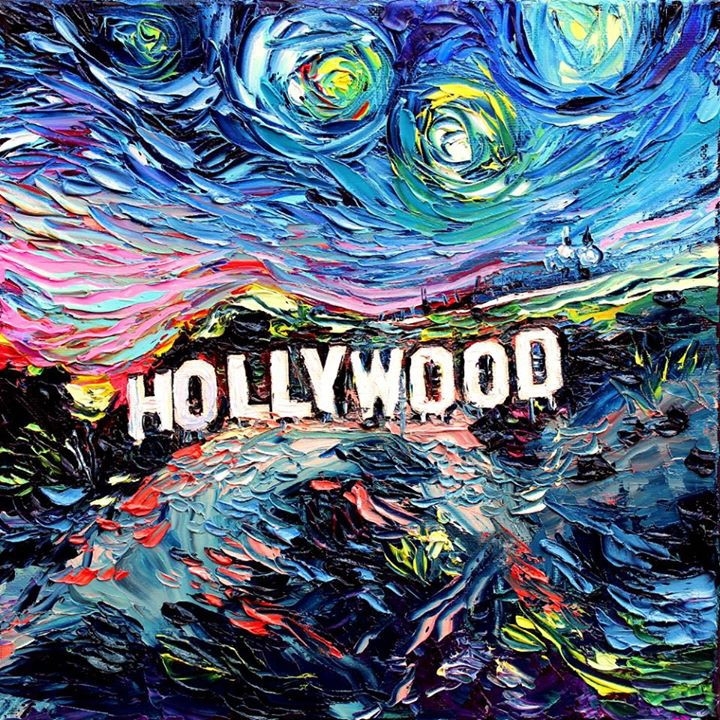 Aja Trier more known for painting the female figure with mixed media such as acrylic, ink, enamel, spray paint and even glitter encased in resin on cradled wooden panels, I have chosen for this post her representations of the famous The Starry Night, by Vincent van Gogh, with a lot of different protagonists inserted in them, from famous TV series like Family Guy, to places of interest, including prehistoric monument Stonehenge. 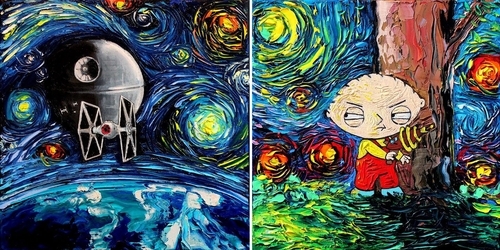 Stewie Griffin - Family Guy. 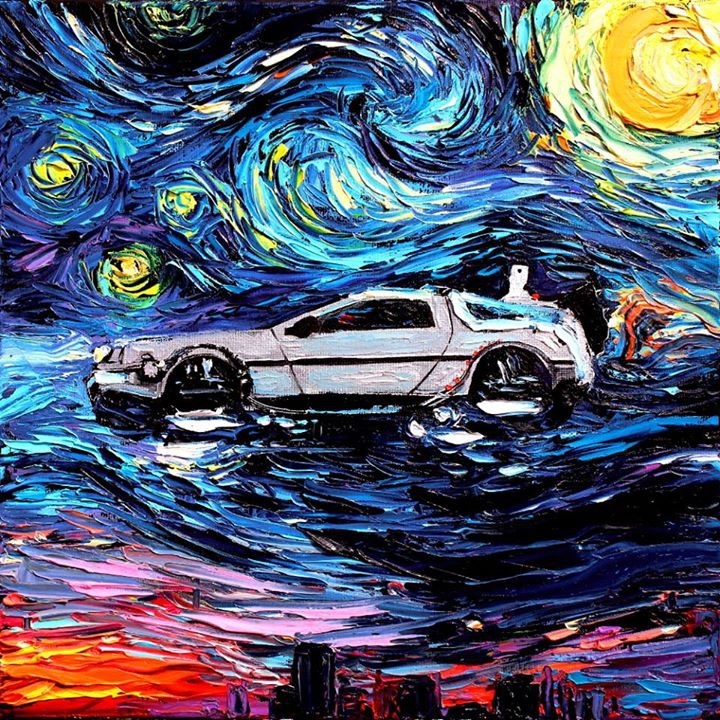 Delorean - Back to the Future. 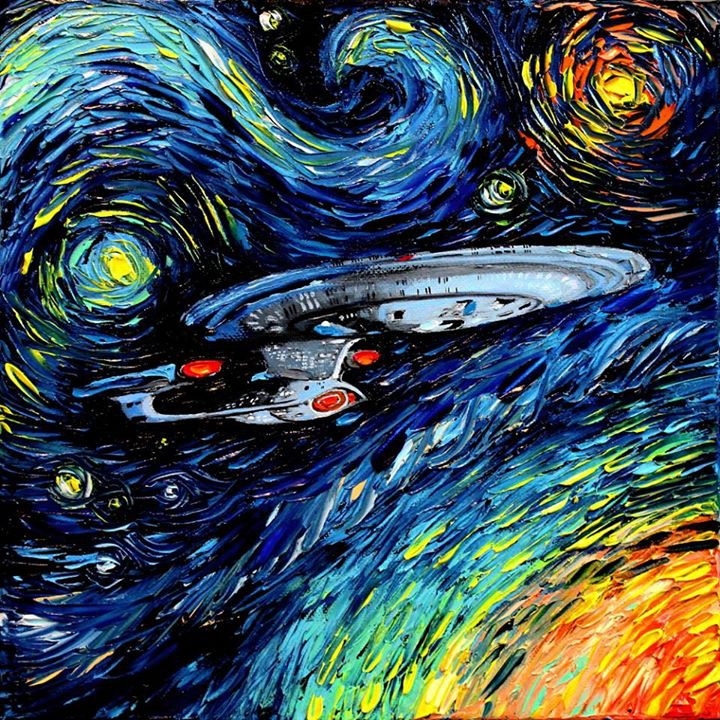 USS Enterprise - Star Trek. 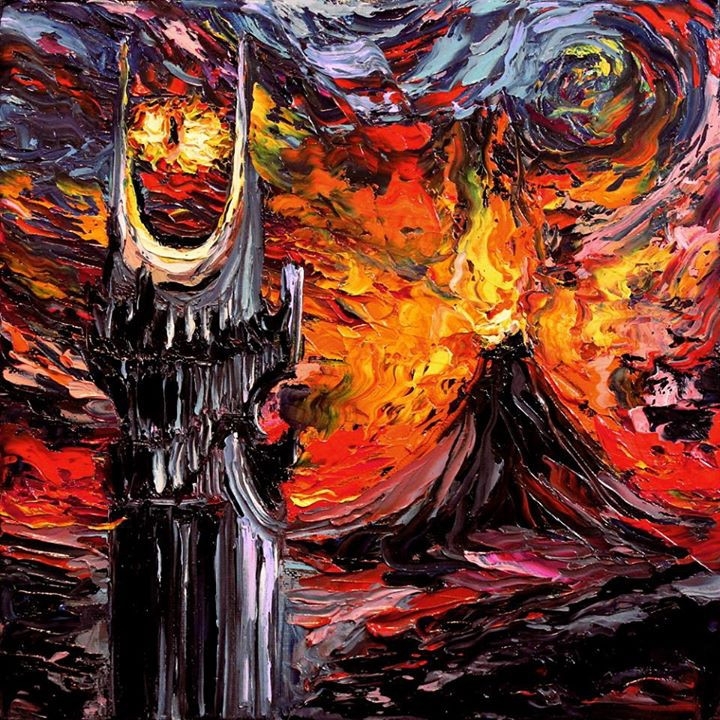 Lord of the Rings - The Eye of Sauron. 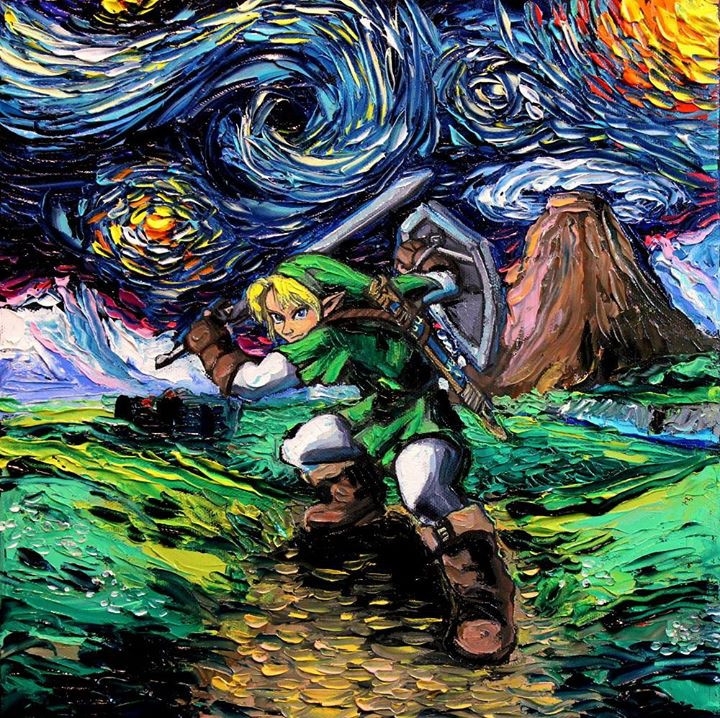 Link - The Legend of Zelda.